Nancy Dering Mock is a trusted advisor to leaders in discerning, formulating, articulating and realizing strategy. She has completed hundreds of strategic planning engagements and is masterful at engaging people to explore ideas and chart bold future courses of action. She has been described as having an uncanny knack of “connecting the dots” and “seeing around corners,” which contributes to the success of her clients in planning strategically. In addition to private and public sector organizations, she has extensive experience in bringing people from diverse perspectives together to create new possibilities and directions in communities, nonprofits, arts organizations and churches. She is widely recognized as an expert in forging collaborations and partnerships among people and groups whose talents, interests and aspirations are shared or complementary and, as a result, consults on the strategic and cultural aspects of mergers and consolidations. Nancy has three decades experience in developing leaders in organizations and communities. She challenges leaders to explore leadership theories and principles and to examine the implications of contemporary leadership models for their own leadership development. She incorporates classical literature and film, the humanities, case studies, appreciative inquiry and experiential learning in the design of her leadership development initiatives. 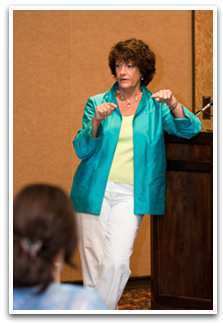 Making change for the better in organizations and communities is the keystone of Nancy’s consulting practice. She assists clients with planning and implementing organizational, cultural, process, or technological change. Because of the breadth and depth of her experience in organizations, she is widely recognized for her ability to interpret situations incisively and perceptively, untangling complexity and crafting elegant, practical and workable solutions. She also conceives inventive approaches to organizational change, challenging conventional wisdom and blurring traditional boundaries. The management of Human Resources can become excessively focused on compliance - to the detriment of performance, creativity and engagement. Nancy subscribes to an approach that seeks to balance compliance by elevating and celebrating the best of what it means to be human. This perspective is brought to bear on assignments in Workforce Strategies, Employee Engagement, Human Capital Development, and creating workplaces where people can excel. Nancy works to translate contemporary models and best practices into the unique mission, culture and operations of each client. Nancy is widely sought after as an articulate, powerful and inspiring communicator. In her keynotes and seminars, she challenges and inspires people. She is widely recognized as a master facilitator of high-profile, high-stakes deliberations, helping groups confront difficult work, framing provocative and penetrating questions, instilling a spirit of inquiry, imagination and idealism and coaxing the very best from the group.